Funny how groups come together. The Kodama Trio, resident in Santa Fe, New Mexico, is comprised of three individuals from completely different backgrounds and completely different parts of the country. Pianist Robert Muller, originally from Portland, OR, has spent time in New York City and Copenhagen. A former student of Andrew Hill at Portland State University, Muller is a supremely open-minded musician who's played a lot of jazz, but has also worked extensively with hip hop artist Pete Miser, ace guitarist Larry Mitchell, spoken-word artist Joy Harjo and many others. Drummer Milton Villarrubia III, a New Orleans native and student of Johnny Vidacovich, fled to New Mexico in the wake of Hurricane Katrina. He's a master chef (really!) who has led something like a dozen local bands simultaneously. Jeremy Bleich , a multi-instrumentalist on guitar, oud, and bass hails from Cleveland. He plays electric bass exclusively on Kodama Trio's eponymous second disc, and is best known for his work with Joshua Smith and Joe Tomino during the 1990s and early 2000s in the poly-stylistic improvisational trio Birth. He's also worked with Cuong Vu and Chris Jonas. Santa Fe, always a crossroads of sorts, is the common point for all three: not only did their lives intertwine there, but their music did, as well. 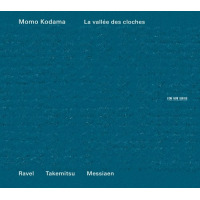 All three contribute compositions to Kodama Trio. Villarrubia's two pieces, "Cellular Automatron" and "NYC," energetic meditations on rhythmic modulation and shifting time signatures, are handled deftly. 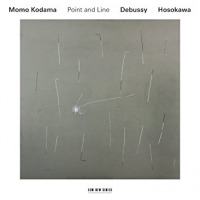 They provide a real pleasant contrast to the rest of the album, which concentrates on the sort of moody post-modern acoustic piano trio jazz made popular by groups like The Bad Plus and the Esbjorn Svensson. Muller's originals, "OOL Blues," "Milespost 22," and "Dos Cangrejos" are hard-hitting and up-tempo with attractive vamps that provide an ideal springboard for extended improvisations. "Milespost 22" has a really attractive Middle Eastern-sounding tonality. Villarrubia really digs into its bounding 6/8 rhythm. On "Dos Cangrejos," the trio steps right to the brink of total chaos before whipping back into the melody. Bleich's tunes, "Sojourn," "Portrait and Reflections," and "Coming Home" have a sweet, almost folksy ambiance. 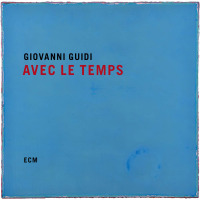 "Portrait and Reflections," the album's sole ballad, has a rippling, spacious, almost ECM-like feel. The funky, exultant "Coming Home" lets Villarrubia flex his considerable second-line chops. "Sojourn" is particularly attractive. Based on a descending series of bass double stops, it works its way into a lovely, melodic bass-piano unison. 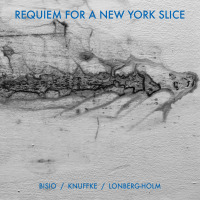 Muller's episodic solo takes two or three different approaches over the repeating structure. A fourth Bleich original, "Bleyed," demonstrates the trio's deep affinity for the blues, giving the listener yet another refreshing change of pace. The sole non-original, a cover of Jimi Hendrix' "Angel" is played pretty straight. Here, Muller's piano circles around with big blocky chords as Villarrubia and Bleich go to town. 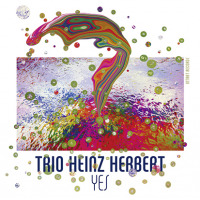 Despite the obviously cooperative nature of the trio, Muller's piano dominates throughout. 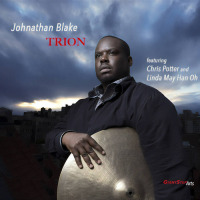 A percussive, muscular player in the mold of McCoy Tyner, he's a remarkable soloist with a wealth of rhythmic and melodic ideas and a yen for dark and gnarly harmonies. Bleich's slippery fretless bass occasionally evokes Jaco Pastorius, though he's sometimes too far down in the mix. 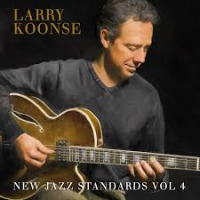 His solos on "OOL Blues" and "Bleyed" reveal a fluid, guitaristic approach. Villarrubia's tasty drumming is defined by a light touch and remarkable attention to detail. 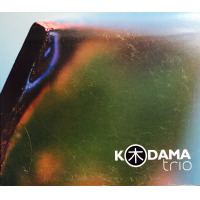 As good as the musicianship is throughout Kodama Trio, the one thing that stands out about this disc is its musical fearlessness. Three seasoned but not well-known guys playing all original tunes in a small, somewhat isolated, town. They really make it work. The music on this disc repeatedly gets to that "risky-yet-enjoyable" place that so many discs of this type don't even try to attain. Kodama Trio virtually lives in that place. As a unit, they're as good as anything coming out of New York City, Chicago, or the Bay Area. Who said jazz was dead? Track Listing: Cellular Automatron; Milespost 22; Sojourn; Angel; Dos Cangrejos; Bleyed; NYC; OOL Blues; Portrait and Reflections; Coming Home. 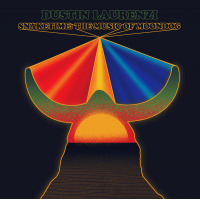 Personnel: Robert Muller: piano; Milton Villarrubia III: drums; Jeremy Bleich: electric bass.